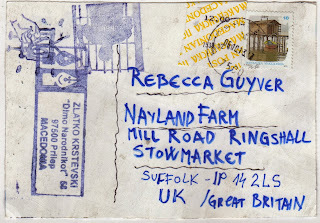 This is my first mail from Macedonia and I think it should really be filed as a memory, but for some reason I think The Postal Ledger has more of an audience than Memories are Made of This and I wouldn't want you to miss this postcard by Zlatko. As an aside, I need to say that Patrick has spent time in Macedonia with a Zlatko - I like coincidences like that. I don't know what the translation of Zlatko is, but I like the way the name sounds and the way it looks. 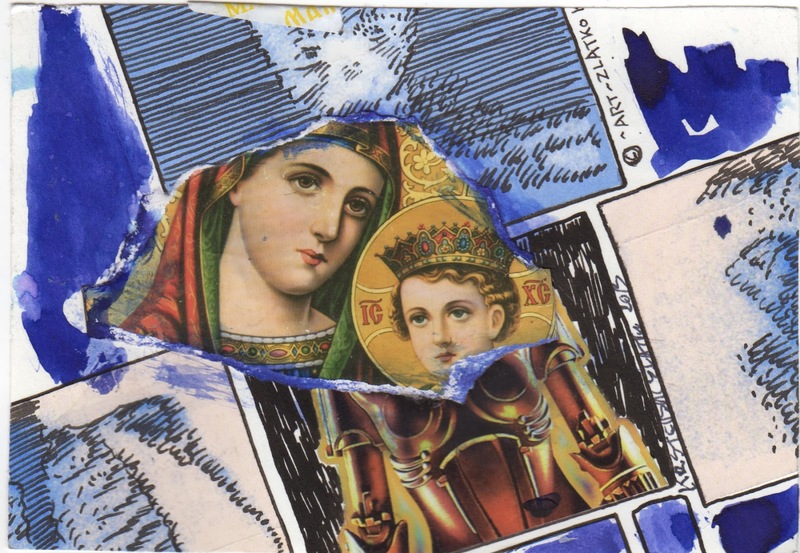 What I really like about this card is the confident and fluent way Zlatko travels between collage, illustration and painting. He creates a visual memory that conjures up an icon, for me. 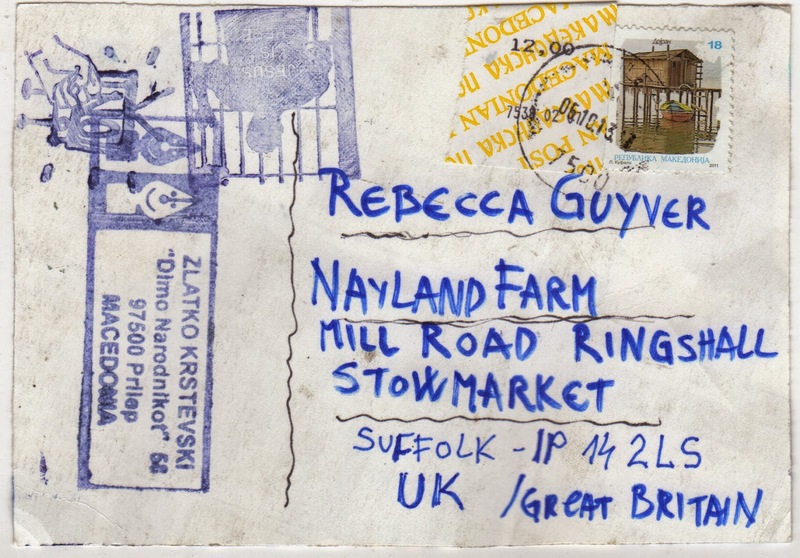 I also love the way Zlatko uses his stamps. He is drawing with his stamps. I love the way he uses pressure and line! Thank you Zlatko, don't worry I will certainly hang this at the next Memories pop up show!